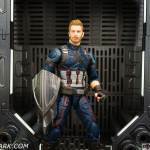 After being forced to give up the shield in Captain America: Civil War, Steve Rogers goes Nomad taking a different path in uniting Earth’s super heroes to go to battle in Avengers: Infinity War. The fate of the planet and existence itself has never been more uncertain as everything the Avengers have fought for has led up to this moment. 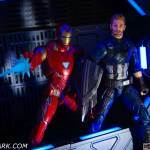 Related Dorksidetoys links: Marvel Legends Avengers Wave, Marvel Legends Deadpool Wave, Newly Listed Marvel Legends Avengers Ultimate Rides Ghost Rider & Black Widow. Removable hands to not match skin tone. 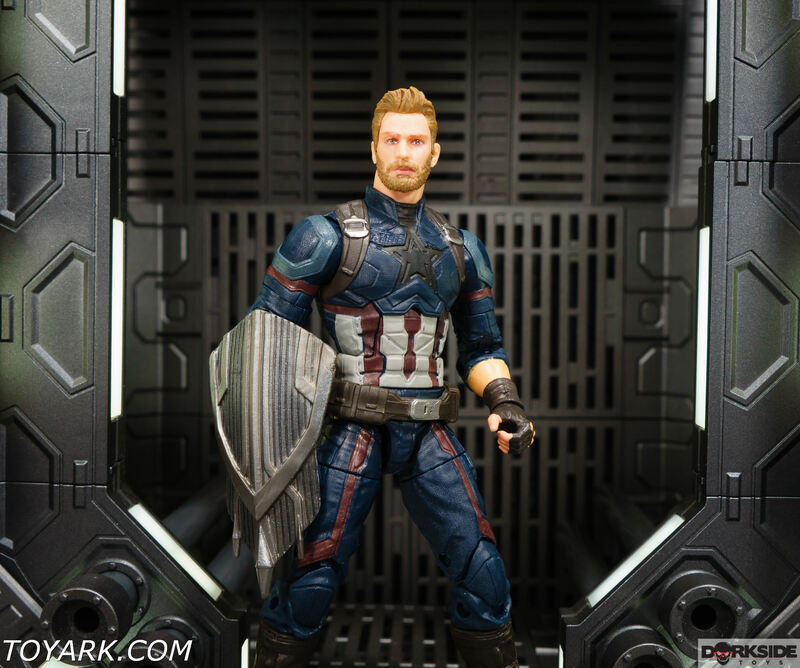 Captain America is a little confusing for some people missing the shield and going Nomad. 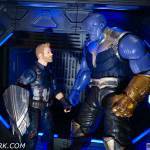 This figure has one of the best Marvel Legends head sculpt designs to date. 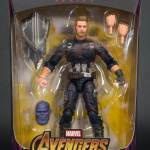 The figure does have a few issues with the hands not matching the skin tone and one side missing the wrap and glove. 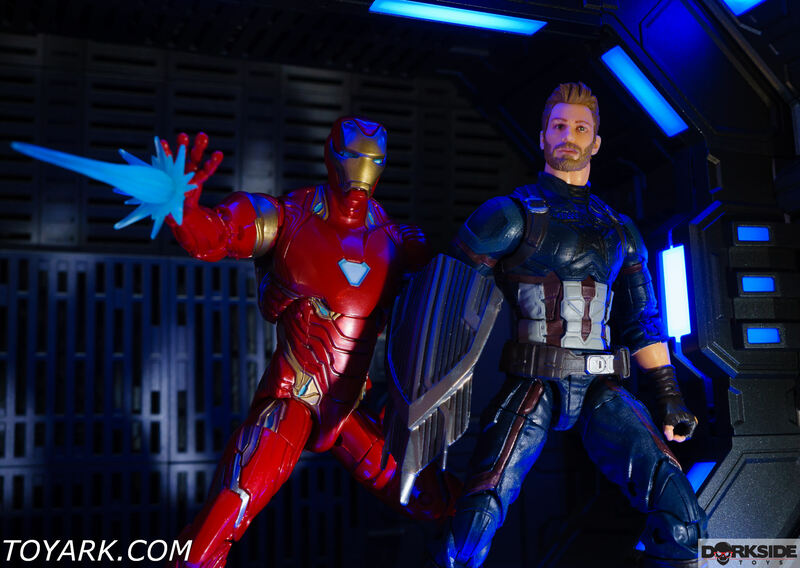 Luckily you can just use that side for the temp MCU shield that feels out of place. 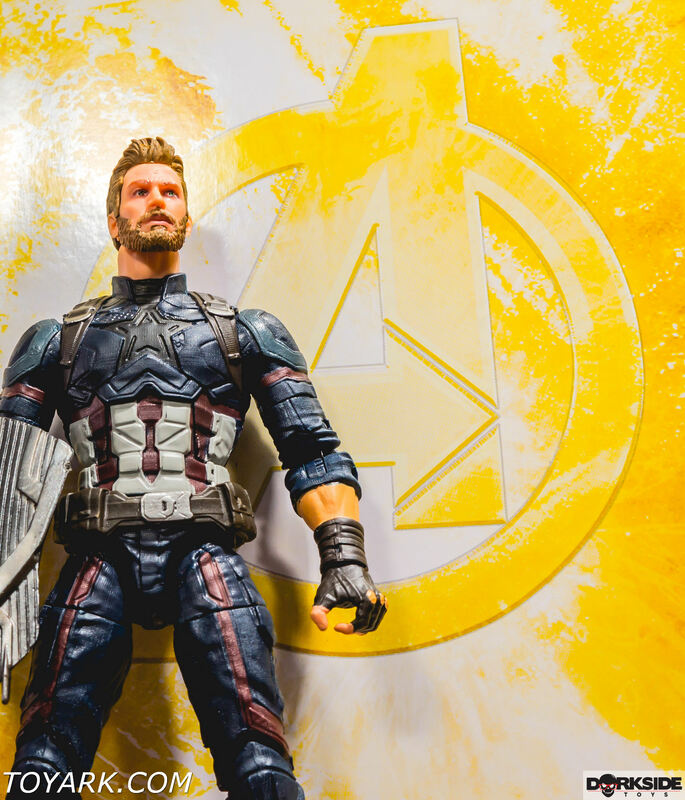 For me this spirit of Nomad comes up a little short but worth it for MCU fans that want to build the Thanos BAF that feels even more incomplete. 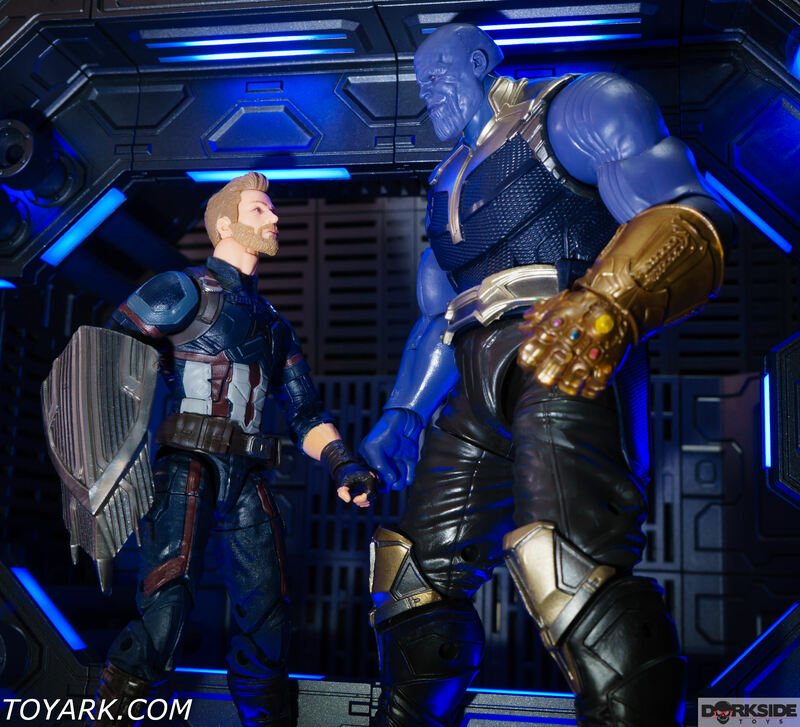 If your wondering what that awesome dio stage is in the background you can get the full info here on the Nova Ubiquitous UB-01LS Modular Diorama with Lights. Not a bad word can be said about this awesome system. 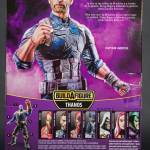 Nice photo shoot, but Taskmaster was the standout of this wave, at least as far as I'm concerned. It's an awesome figure, and it really makes the old ToyBiz one look like poo. Looking forward to his photo shoot. Don't like the figure. 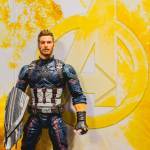 Not because of its flaws, but because the general design seems awful to me; and this is not the figure�s fault, but the movie itself. Nice photo. I am learning new ps technology to design pictures myselft. 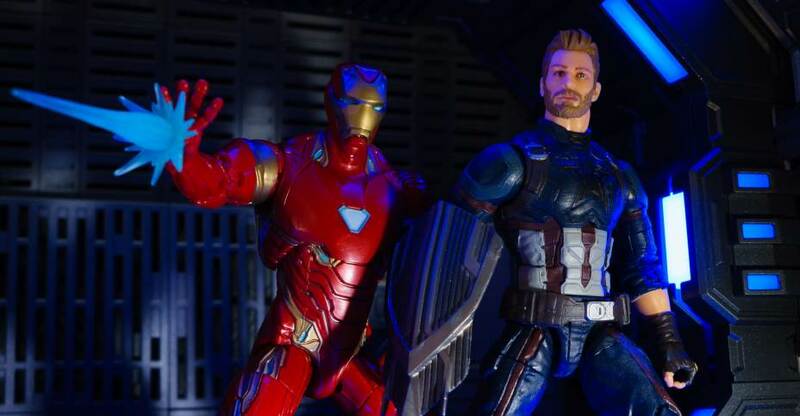 Actually, it's not so much for the movie's sake (although yes, each character has gotten a redesign in each movie), but partially because Tony Stark consistently changes armors and upgrades them in the comics, so by having so many suit designs (as was evidenced in IM3), it shows that they are following true to the character. 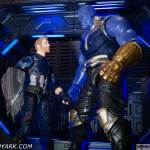 For most of the others, I feel like it shows linear timing for the MCU, which I personally agree with. And yes, it is also to sell toys. For Iron Man though? I have my preferences on specific looks, like circular arc versus triangle arc, I usually go with one I like and stick, rather than multiples. And this one looks cool on certain aspects, but it's still got limitations for posing. The gallery for him looks good. 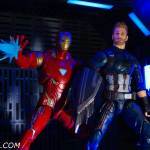 Am I mistaken or does the red look less like bare plastic than usual on Legends Iron Men? 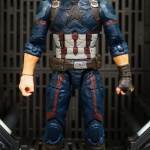 And is the articulation limited any more than it would be on the armor in the movie? I don't demand Revoltech mobility from a guy in a suit of armor. I don't like that they left off parts. The wing thrusters that you can see on side of package. These are part of the MK model. Should be included with toy. I don't get why the 'reused energy pieces' are a con. I mean, they're gonna milk effects pieces for all they're worth, so as long as they're not incongruous pieces, I personally don't take issue with it. I don't hate the guy, he's painted well but there's just nothing new or exciting here. In a few months, when you're looking for Wave 2 don't be surprised when you still find five or six of this guy hanging out on the pegs instead. 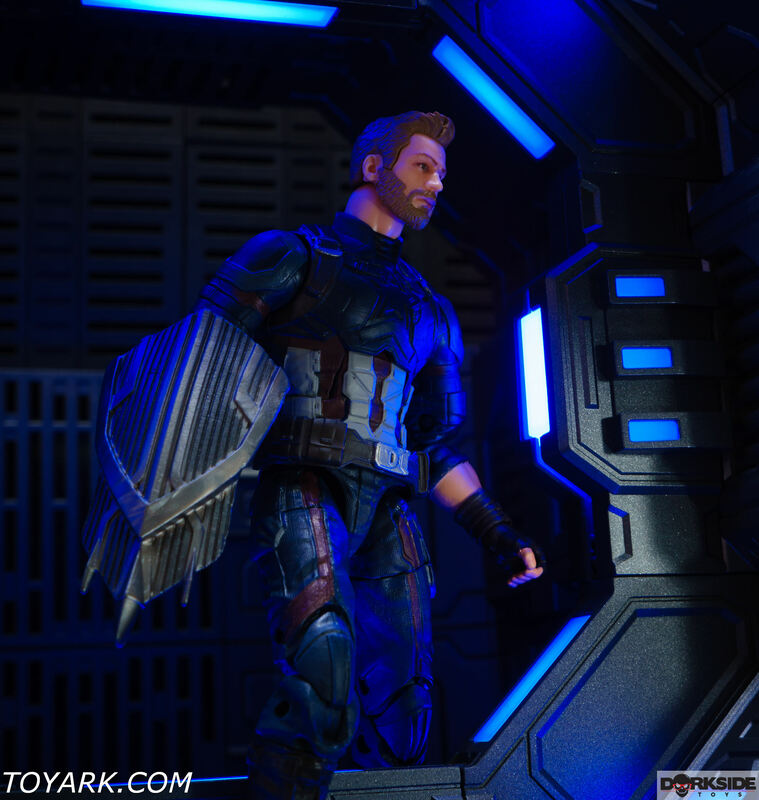 Nomad Steve shoulda come with at least a blue long coat and no red n white just blue and brown. Maybe an alt head with an eye wrap. 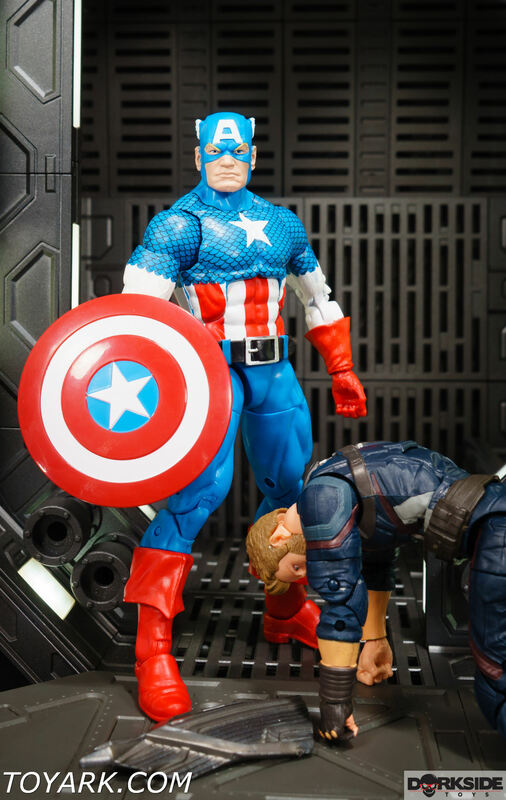 I LIKE the new Cap, but after having him I have issues. 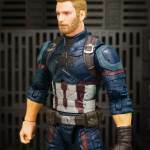 The head sculpt is nice but looking at the images of Cap in the movie, the hair is too short. 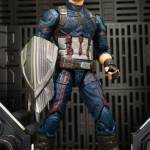 On mine the right knee is real loose so I may have to pick up a replacement if I find one with as good paint apps on the one I have and yeah the skin tome matches are kinda weak as is the Wakandan shield. 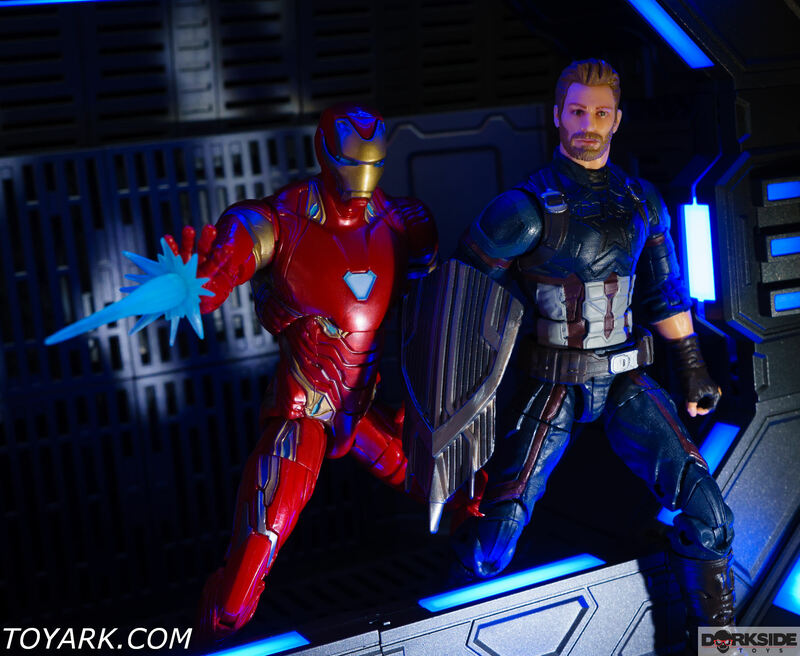 For funsies, try the battle damaged Civil War shield from that multi pack. 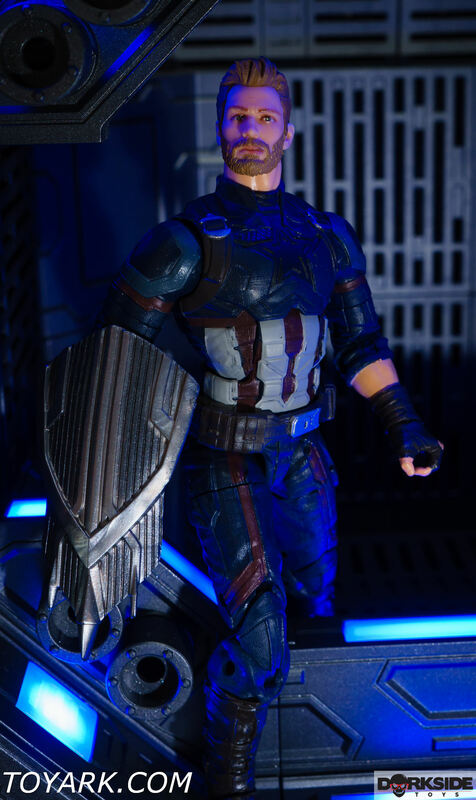 It looks ay better for a disheveled looking Cap, though it's not accurate to the film. 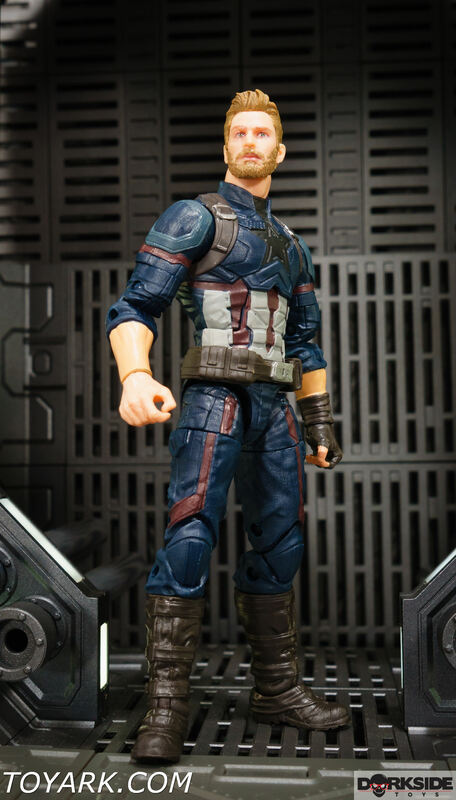 Maybe it's just me, but that new bearded Cap face is brutal. 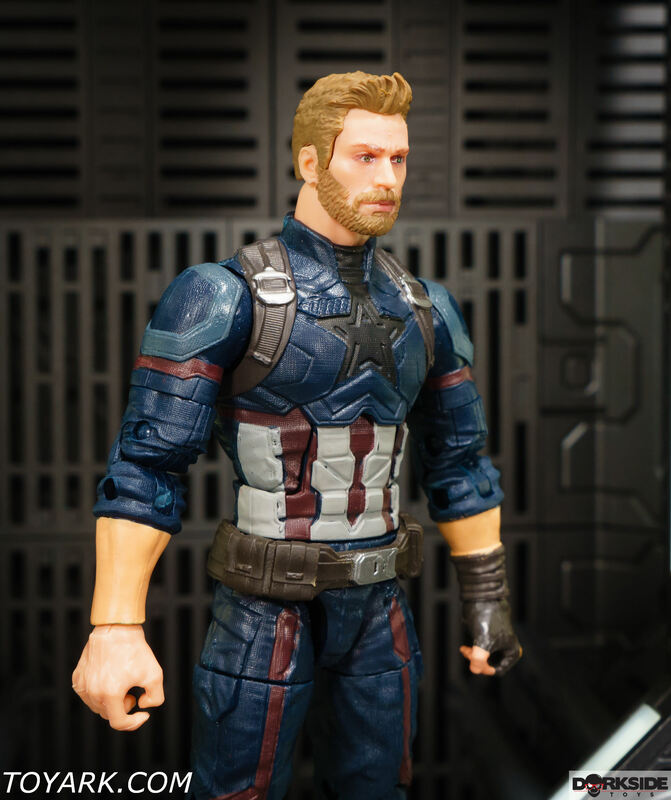 Doesn't look anything close to Chris Evans. No, its not just you. Also perplexing that the reviewer states its one of their best head sculpts so maybe it just looks better in person...? 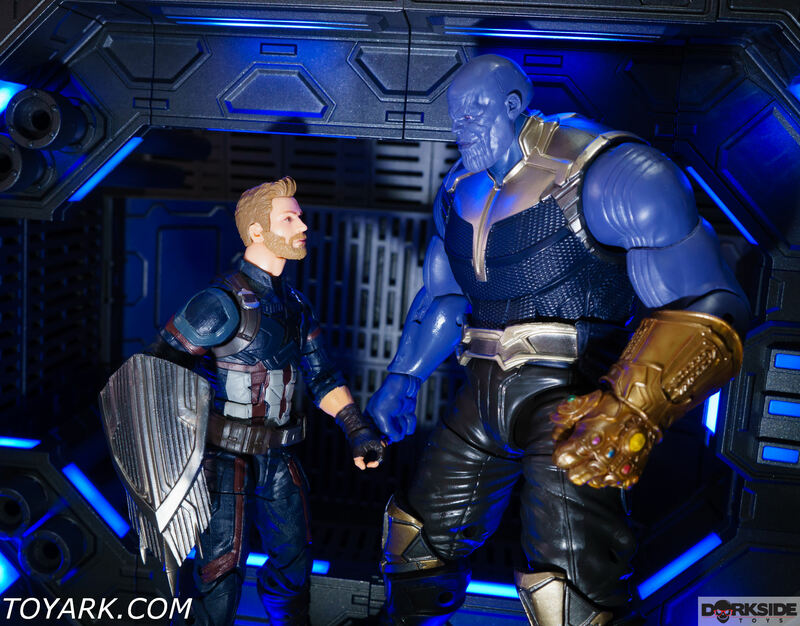 Well I do not know that this is the best MCU face sculpt to date (I think the Vol 2 Gamora wins that one in a landslide...) it is actually very good. Where it is failed is in the design of the hair as well as well as in the face printing and coloring. 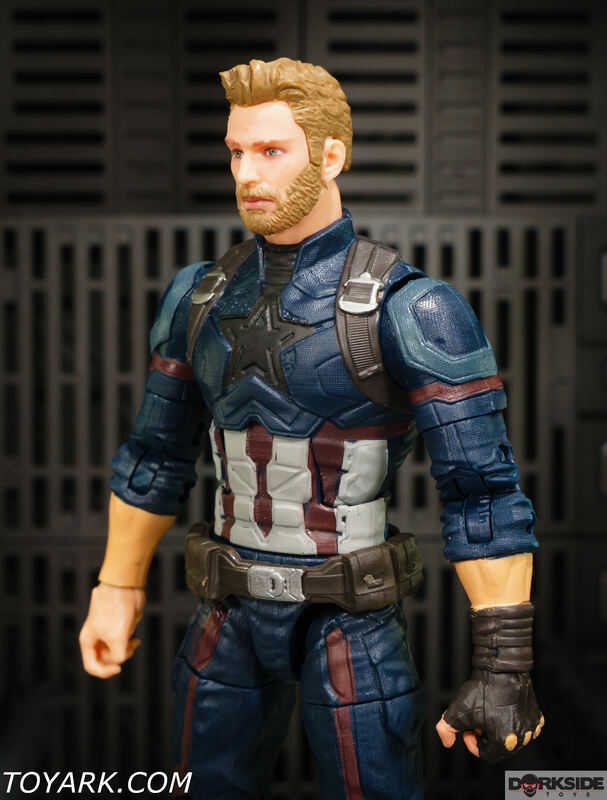 The hair and beard are way too light of a shade of brown, and the eyes are printed a bit large. 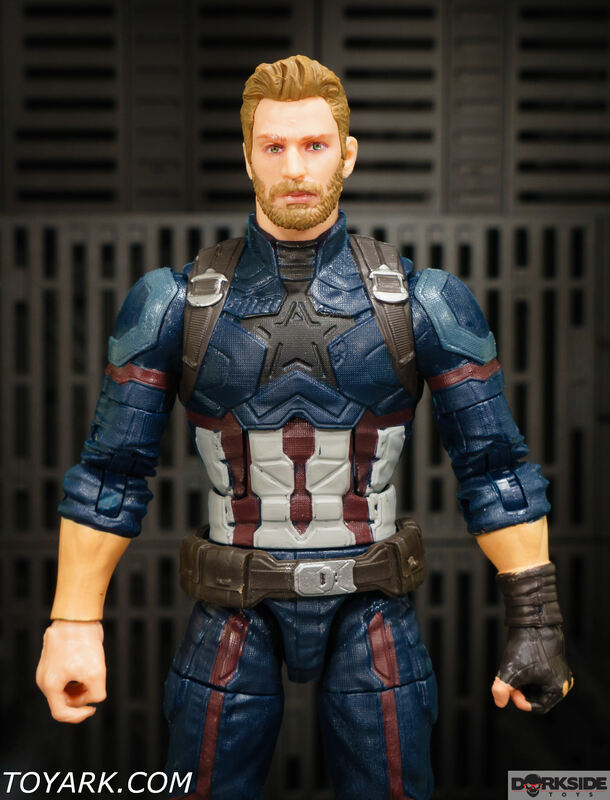 If you happen to get the figure in hand though, place your finger just below the hairline (blocking the hairpiece from your view,) and the again at the nose (blocking the eyes, showing only the lower profile of the head.) The likeness will make itself more apparent then. I was hugely vocal against this head sculpt when it was originally shown, and after trying this, I discovered that it's actually pretty darn good. This particular photo here actually shows it off pretty well, and you can even do the perspective trick I was mentioning with it as well. 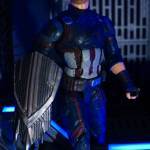 I'm not feeling the shield design from this movie either, but it's nice enough, although I wish they included two of them. As for the miscolored skin tone on the right hand, what I did was add a leg pouch from a fodder Scarlet Spider that I had lying around, and it worked wonders in covering up the flaw. I also touched up the hair and beard with some darker browns as well. 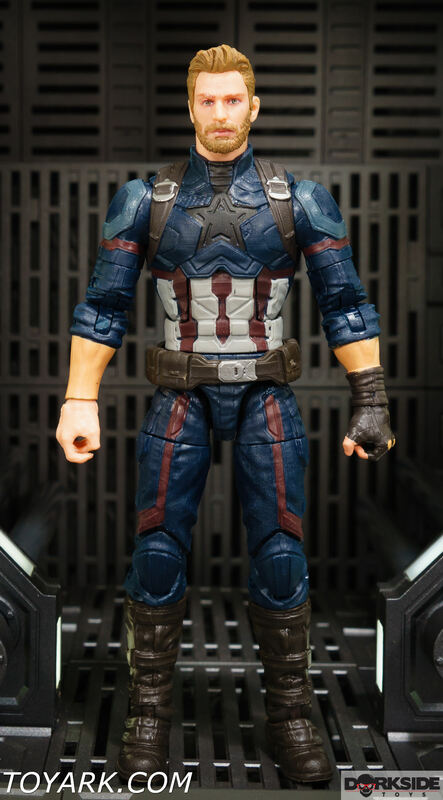 After working those fixes in, and added in with the new body mold (and it's completely new) this Cap has ended up becoming my favorite MCU version of the character to date. 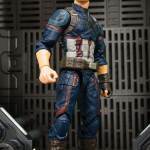 I got him because I feel he's a different enough version of Cap to include (particularly in the muted wash on the buck). 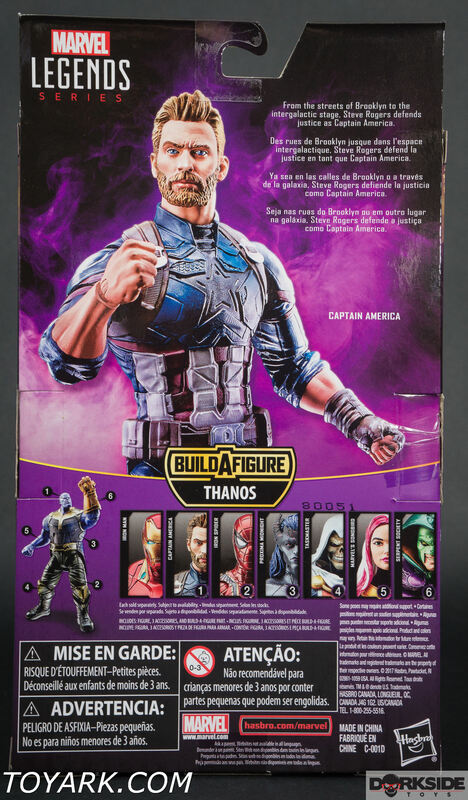 But I wholeheartedly agree, the right hand missing the wrap, the open left missing the glove, and the lack of a second shield (because I'm not going to get two just for a shield) all make this as anticlimactic as Iron Spider. Great idea, just missing a few things. 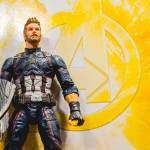 Still, I won't deny I'm glad I got him, but I'm still not calling him Nomad. 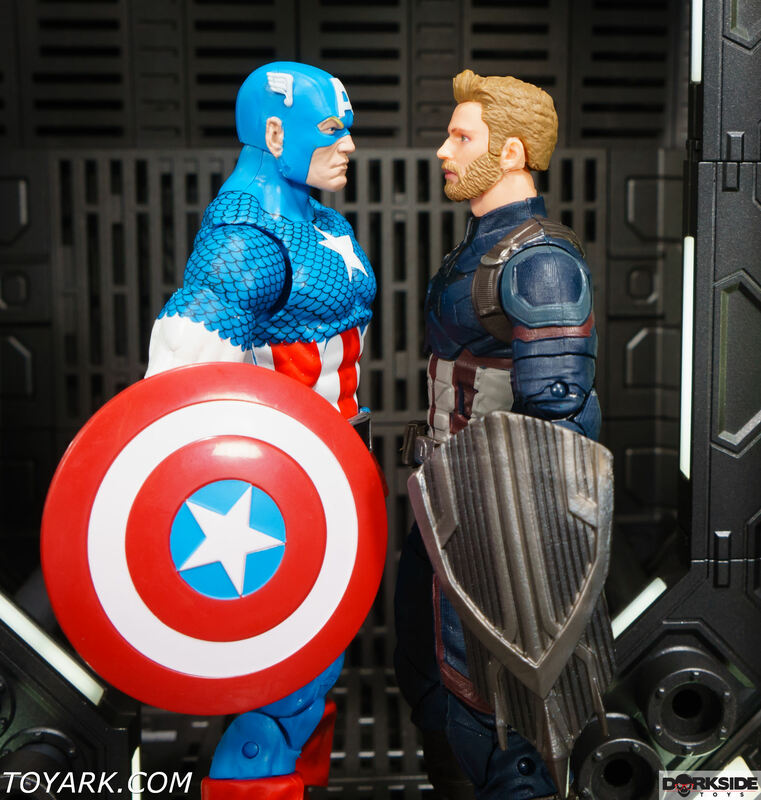 How about 'Boy Band Cap'? Personally my vote goes to the Vol.2 Star Lord from that Ego two-pack but yes, that Gamora is amazing. .
Spider-Man is now up for your viewing pleasure. I know this is all market driven. I can sorta see how Batman or Iron Man MIGHT have specialized outfits, but multiple Spider-Man suits are needless & silly...much less "tech suits" courtesy of Tony Stark. Seems like each time I see Captain America again he's wearing YET ANOTHER outfit..."the better to sell more action figures, my dear." And please don't tell me how "kids these days are just too sophisticated to see Thor with long, blond, hippie hair...wearing a winged helmet...and speaking like Shakespeare!" Now he's indistinguishable from some professional wrestler. No one would buy spandex outfits; dress every character in leather...and masks are just plain silly! Marvel & DC movies both seem determined to appeal to 10yo kids who are most interested in watching superheroes beat each other up. 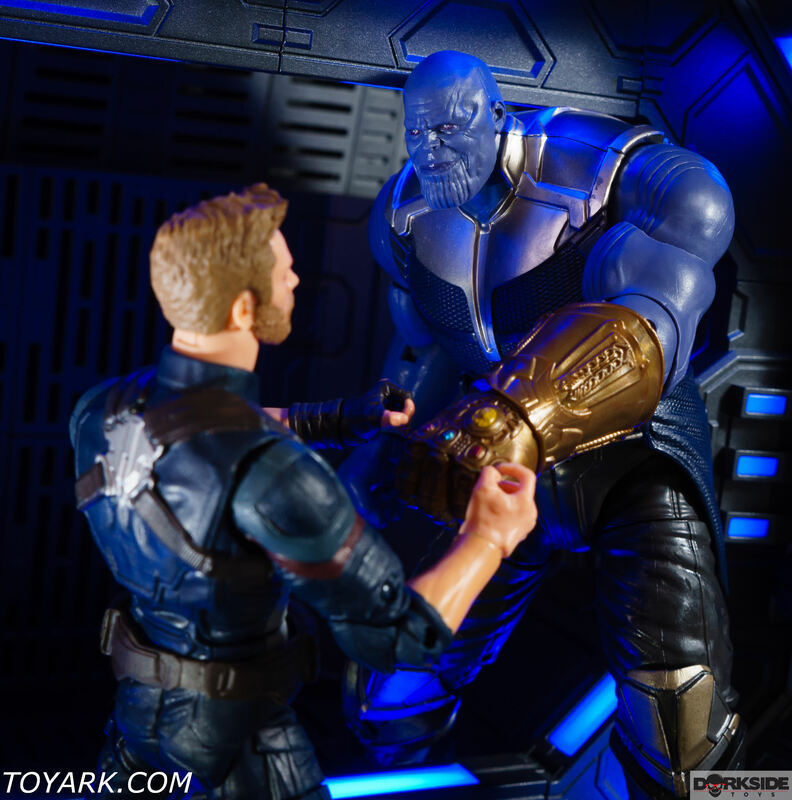 And IMO this Infinity War movie has such a profusion of super heroes in it, the question is begged: Are there any regular humans anymore? Have you never heard of the Iron Spider costume from the comics, a tech-y suit given to Peter by Tony Stark? That's what this Iron Spider costume is based on. 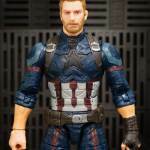 Captain America's current costume is just his Civil War costume after a long while of disrepair, and his Civil War costume was just a low-key/casual semi-stealth(?) 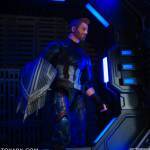 version of his costume from Age of Ultrom, which in turn was a properly Captain America version of his SHIELD Stealth STRIKE suit from Winter Solider. There's a logical progression of the costume development. And as for Thor, his short hair is part of his character development from Thor Ragnarok. We already got classic-ish Thor in previous movies, and the character of MCU Thor has developed and changed as a person further since then, so it makes sense to change his appearance to match. 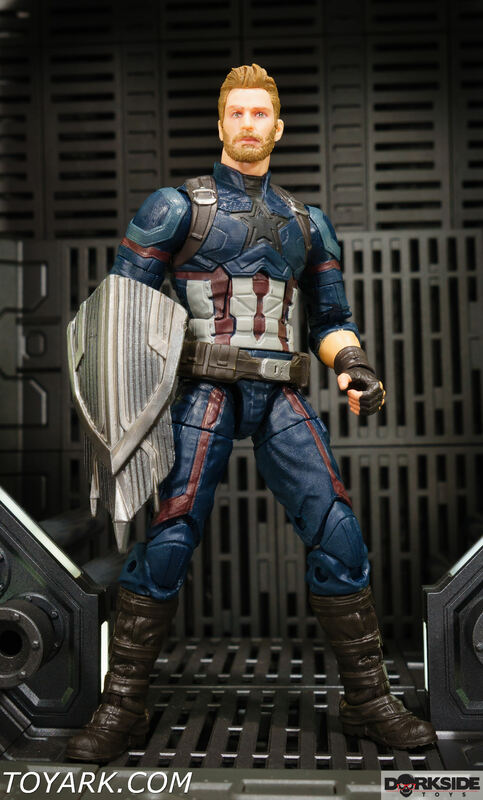 It's kind of laughable how much less this figure comes with versus the Homecoming Spider-Man. 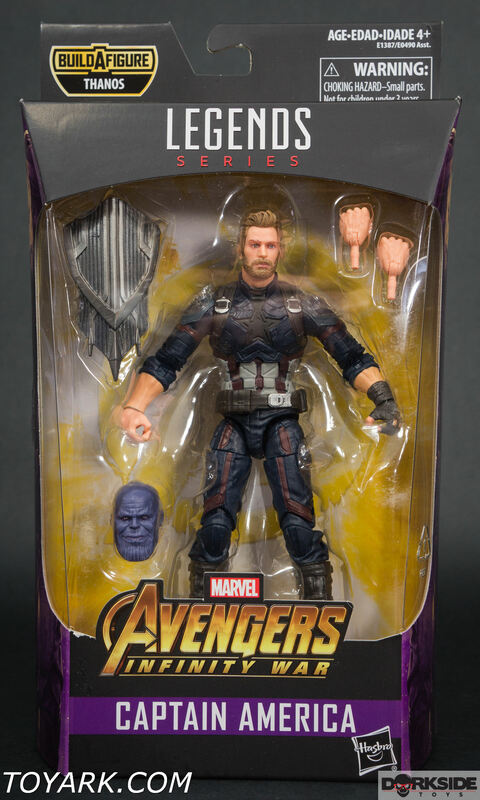 He didn't need to come with any those spoiler-ish accessories (though they would have been nice), but he could have at least come with some extra hands. taskmaster is just goofy enough and still looks cool. good figure. if i see it in person I'll pick one up. i completely understand where you're coming from, Rann, and certainly agree with some of your points. 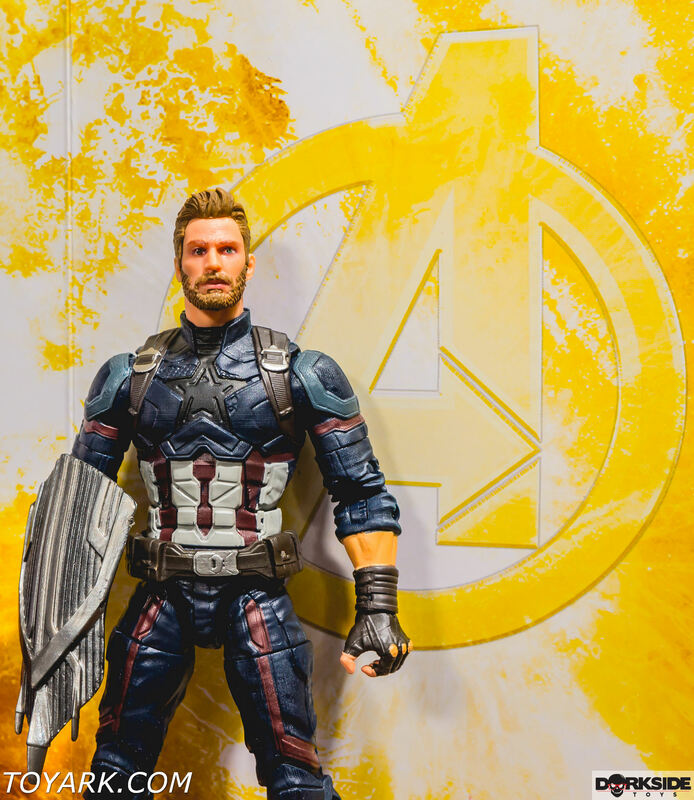 There is a definite marketing connection both for the characters and for the franchise as a whole. 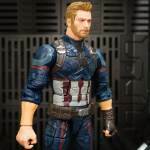 While the different costumes make for new product to sell, they primarily mark the different stages of evolution that the specific character has taken as well as mark the period of time that has passed since the last costume. It's nearly a decade of movies, so naturally a good array of costumes to denote growth while keeping some (more decades of) comic-related roots. As to what character elements were deemed essential to keep or discard (like the Shakespeare dialect), that likely was the result of a panel comprised of producers, directors, writers, and executives given the multi-million dollar budgets.